Although Associates Insectary has successfully maintained a limited production of Tamarixia radiata for more than two years, production has now been suspended due to excessive labor requirements for production and difficulty in locating ACP in the field most of the years. Production of the parasitoid Tamarixia radiata can be restarted at any point when the expense of production can be justified by demand for this wasp. The spread of disease by this insect cannot be properly controlled by using beneficial releases alone in commercial groves. A fully integrated spray program is essential for success in those situations. Although the parasitoid Tamarixia radiata is most prominent insect mentioned in the fight again urban populations of ACP, ongoing research is showing that predators may have an equally important role in the final control program against this imported pest. Assocaits Insectary has a rearing program underway and hopes to have limited numbers of these wasps available for its members in the near future. Although we have limited production now, Tamraixia mass rearing production is still in the developmental stages and it will be some time before the massive numbers needed are available to the public. 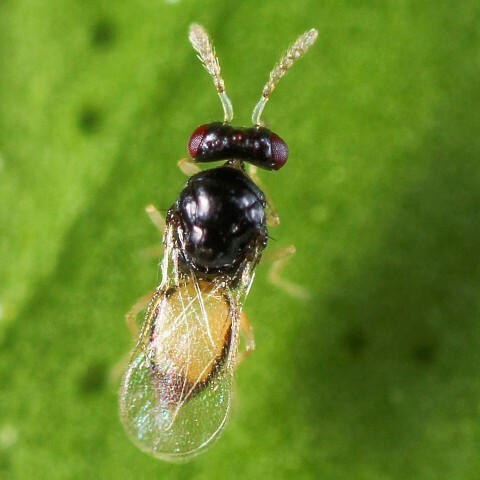 proving to play a major role in mortality of Asian Citrus psyllids (ACP). 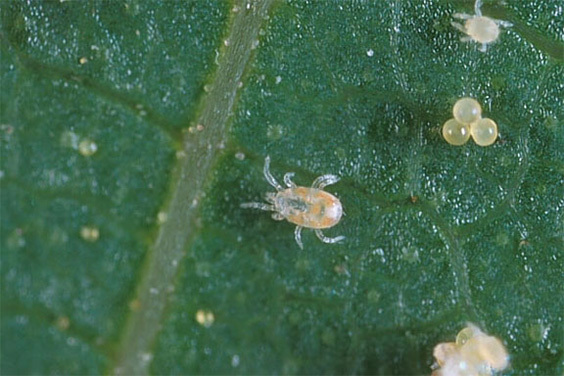 Studies are revealing that predatory mites are decimating ACP eggs in many locations under study. This new information could provide another tool in the fight against untreated urban populations of is serious citrus pest. 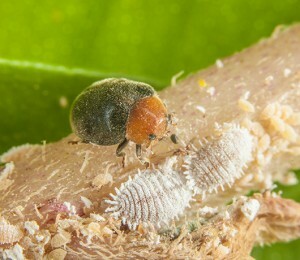 Recent university research also indicates that predatory beetles such as the Mealybug Destroyer may prove to be highly effective predators of Asian Citrus psyllids. This new tool could allow for extended periods of suppression in groves between targeted spray applications. In the very near future, these predators and parasites may be combined with targeted sprays to create an effective and sustainable ACP suppression program for the grower-members of Assocaites Insectary. Tamarixia image courtesy of UC Riverside website.